Cepac, the UK’s leading independent corrugated packaging producer, has completed a £2m expansion of its Rawcliffe site in East Yorkshire. This exciting development increases the production area by 35,000 sq ft, enabling new equipment installation, improved workflow and ultimately increasing capacity by over 20%. This significant investment will support growth nationally from Cepac Rawcliffe across a number of speciality sectors, enhancing customer service and product range. The continued growth of the Rawcliffe site is the latest investment since Cepac acquired the business in 2013. In the last five years, Cepac has succeeded in more than doubling the turnover and created over 50 new jobs, bringing the total number of employees at Rawcliffe to 135. One of four production facilities operated by Cepac, the Rawcliffe operation specialises in bespoke corrugated supply chain solutions, covering a wide range of sectors, for example Industrial, Automotive and Speciality Chemicals, with customers including Jaguar Land Rover, Ford and Ideal Boilers. The site carries UN Accreditation, further enhancing its capability to provide tailored solutions to a wide range of clients. This latest development has allowed the site to re-configure workflow and assembly areas, the latter including a new, dedicated hand assembly section. 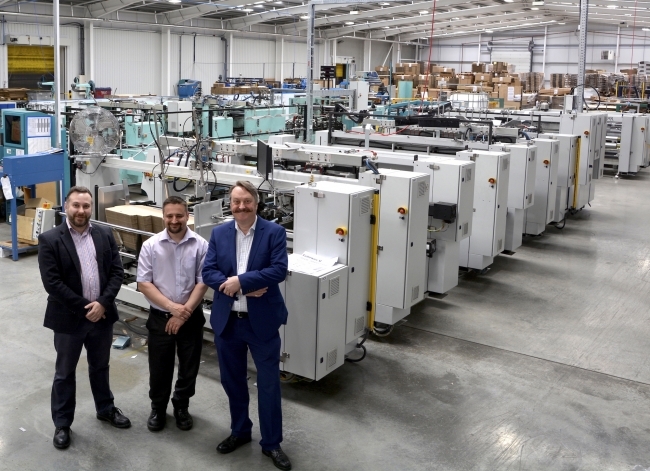 Two Tanabe multi-point gluers and three stitching machines are now installed in the new production hall and downstream palletisation, strapping and stretchwrapping capabilities have all been enhanced as part of the investment programme, improving pack presentation and throughput efficiency. The building improvements and new equipment enable Cepac Rawcliffe to significantly extend its capability, including an expanded offering of stitched UN-approved boxes, designed for packaging and transporting hazardous goods including flammable, toxic or corrosive materials. 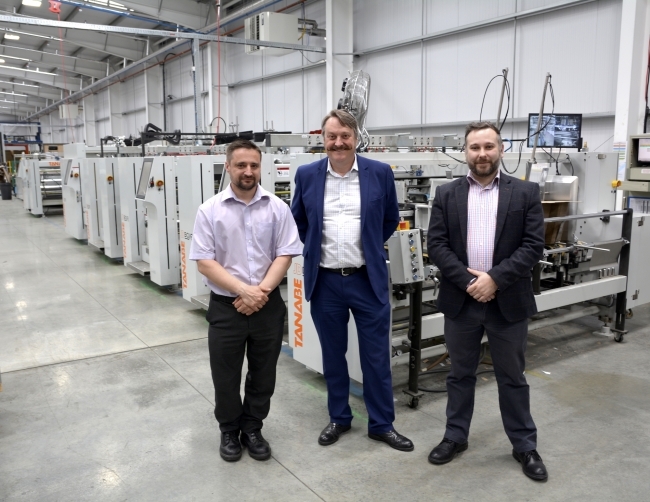 Richard Moore, General Manager at Rawcliffe, said: “This investment provides us with the additional space to invest in the latest machinery, enhance workflow and increase capacity. It is an exciting opportunity to develop and increase the services and products we can offer to our existing customers and new partners”. “We have a great team at Cepac Rawcliffe, combining skill, experience and innovation, which has grown significantly in recent years, as a result of the customer growth we have achieved based on our on-going investment programme. Rawcliffe is now a leader in its sectors within the corrugated industry”. “The investment has been developed to provide high quality, innovative, packaging, including the capability to increase our provision of Hazardous Packaging solutions via our UN Accredited product range. Rawcliffe’s capability extends beyond its unrivalled range of high performance corrugated packaging, offering a level of customer service which is the best in the industry”. During construction work, 16 granite millstones, dating from the 19th century, were discovered. These enormous stones, weighing around four tonnes each, have been installed as an architectural feature, providing an homage to the past and a recognition of how the site’s heritage has contributed to its leading position as a corrugated business today.